EK-AF (Adapter Fitting) Revolvable angled adaptor (90°) with G1/4″ threads. 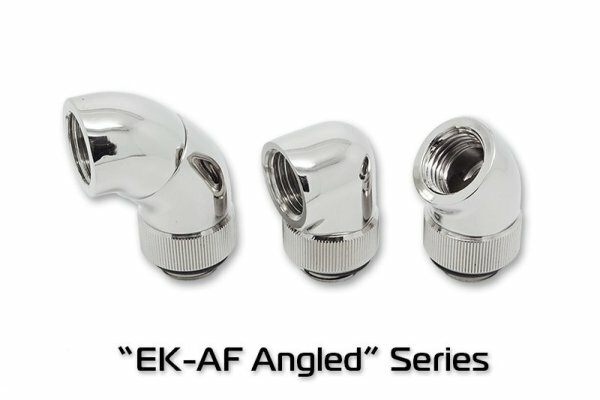 Adapter allows connection of fitting with G1/4″ threads to extend tubing possibilites in your water cooled system. 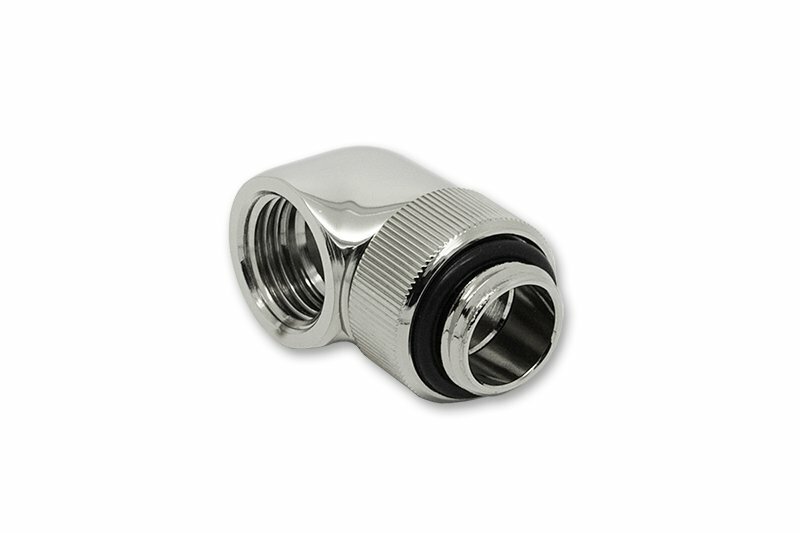 Technical specifications: – Material: made of nickel plated brass – Threads: * G1/4″ BSP; 4,5mm male thread lenght * G1/4″ BSP, 6mm female thread lenght – Outer diameter of a knurled part: 19,8mm – Installed height: 28mm – Sealed with high quality NBR oring. ROHS compliant!